This article contains fast, interesting, fun facts about Pakhet for research, schools, students and kids providing an insight into the lives and religious beliefs of the ancient Egyptians. This ancient lion goddess was first worshipped during the period of the Middle Kingdom 2134 - 1782 BCE. She was known as Paket, Pachet, Pehkhet, Phastet, and Pasht. Like the other lion goddesses she was a goddess of warfare and was given the titles "She Who Scratches", the "Night huntress with sharp eye and pointed claw" or simply the "Tearer." The lioness was seen as a destroyer who annihilated the enemies of Egypt. She was originally a local goddess with the title "Goddess of the Mouth of the Wadi" and worshipped as a goddess of the chase by those that hunted near the waters at the boundary of the desert. In this role she was associated with the dangerous sandstorms or desert storms which could cause asphyxia resulting in coma or death and "dry eyes" which could lead to blindness. The ancient Egyptians prayed for her protection if caught in a dust storm and worn amulets for their protection. Her eminence in ancient Egypt rose when Queen Hatshepsut (r.1479–1458 BC) initiated the building of a rock temple near al Minya, now known as Beni Hasan, designed by her architect Ineni. The ambitious building project was completed in the reign of Pharaoh Thutmose III (r.1479–1424 BC). Large numbers of mummified cats have been found buried in the location of the rock temple. Cats were sacred animals and were carefully embalmed after death. When a cat died the members of the family would shave off their eyebrows as a sign of mourning. 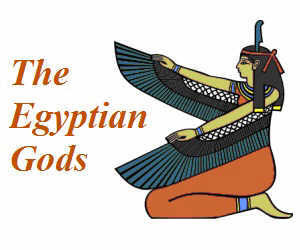 She was mentioned in Spell 470 of the ancient Egyptian Coffin Texts. The Coffin Texts consisted of magical funerary spells that were written on coffins during the time period of the Middle Kingdom. She is associated with the creator god Ptah and the goddess Hathor as a sun deity which is why she is depicted wearing the solar disk as part of her crown. 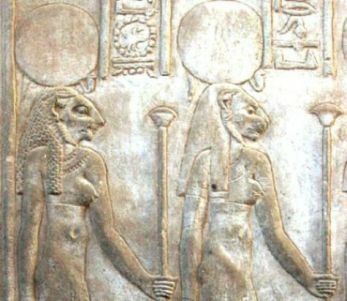 The hieroglyphics used to convey her name are the square symbol represents the symbol for Ptah and the letter P, the half moon represents the letter T and finally the lion symbol. As a domestic protector she was also believed to offer protection to pregnant women and childbirth. Facts and information about Pakhet for kids with some amazing, cool and quick information about ancient Egypt and Egyptians. These fast interesting facts about Pakhet are ideal for children, homework, schools, teachers and kids of all ages.